As you may have heard, 2016 is the “Year of Virtual Reality.” This theme echoed loud and clear throughout the TEDxLabs this year and has been something we’ve been focused on at Isobar for quite some time. At TEDxLabs we chose to bring our CoDriver experience. TEDxLabs is a side exhibit that took place during TEDxDetroit in Comerica Park . The labs gives patrons the opportunity to physically interact and explore anything from a tiny robot to a local business in the city. 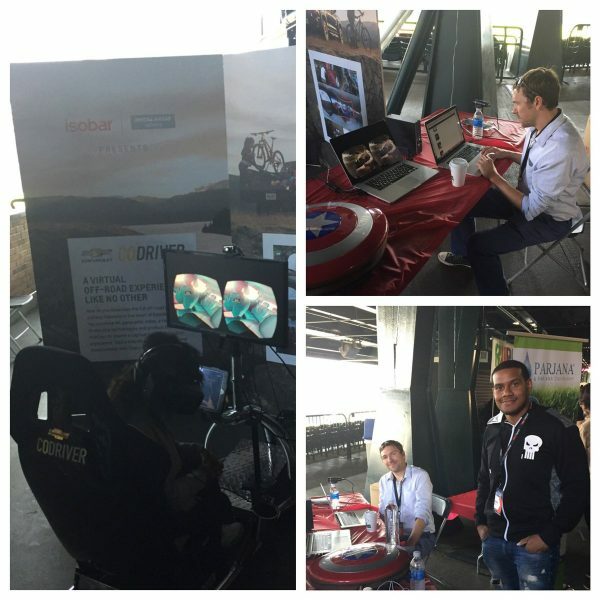 The festival’s hands-on nature was the perfect venue for Isobar to host it’s VR experience, Chevy CoDriver. Using the Oculus Rift, our Chevy CoDriver VR demo allows participants to experience a vehicle’s features and capabilities without ever leaving their chair. CoDriver is a 360-degree experience showing a vehicle and its surroundings. An off-road simulation becomes real life as participants become passengers inside the vehicle. With an interactive video, a vibration system installed into the seat and a ‘top secret mission’ storyline, viewers are transported to a New Zealand mountainside to take part in an unforgettable adventure. An easy-to-use interface was used to introduce the product to TEDxDetroit participants and share the unique experience on social media. Users could even send a picture of themselves doing the demo with the Oculus Rift via email. People of all ages surrounded Isobar’s CoDriver at the event, patiently waiting for their turn in the long line. There was a lot of excitement and curiosity buzzing amongst the crowd, with patrons asking questions and wanting to learn more about virtual reality. Every individual left CoDriver’s chair with a smile on his or her face; some saying that the off-road simulation was the coolest thing they have ever done. CoDriver, in the near future, may very well be the only “test-drive” consumers take.